In Sanskrit language “Shalabh” stands for insect called “Locust”. 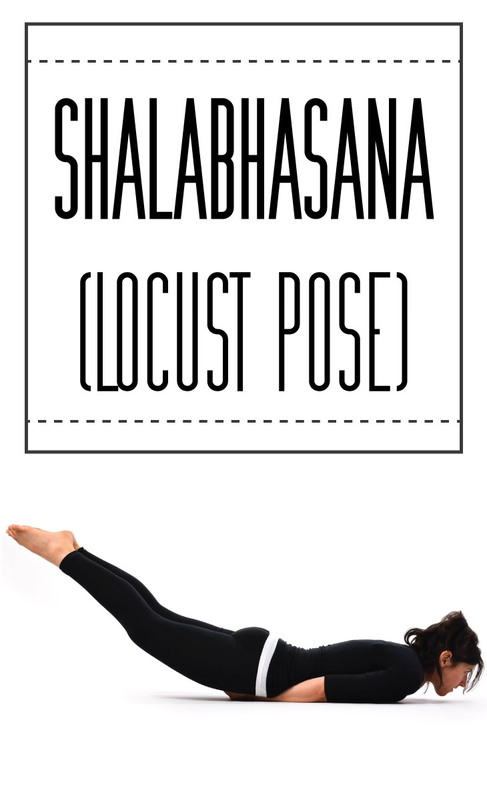 While practicing Shalabhasana the entire body shape looks like a locust structure therefore this asana is also renowned as Locust Pose. Shalabhasana benefits to toughen back muscles and curing ailments like sciatica and back ache. Here we showcase Shalabhasana steps in three different methods for how to do Shalabhasana with proper manner. Following are Shalabhasana steps which helps you to gain benefits of Shalabhasana without pain and twinge. It is suggested that one should repeat this asana for 3-4 sessions. First of all lie down on floor facing in downward direction on your chest and abdomen. Put hands underneath of each thigh. Inhale and rise legs in upward direction but don’t bend them at knee. Repeat same procedure with other leg. Repeat same procedure for 2-4 sessions. Place right hand straightly over the head such that it is in contact with hand & ear. Put left hand on waist. Now inhale and lift the right hand, head & foot above the ground. Remain in same posture for some time and then exhale to get to normal position. After some time repeat same phenomenon with other side. Now keep both hands on back such that each wrist touches other hand. Then inhale to lift up the chest following legs from the ground. Continue same posture for some time and then exhale to get back to normal position. Shalabhasana benefits you for strengthening your wrists, hips, thighs, legs, buttocks, lower abdomen and diaphragm. Practicing Shalabhasana steps with proper approach toughens back muscles. It is helpful for curing back ache & sciatica. Shalabhasana benefits to cure cervical spondylitis and spinal cord ailments. It is much useful asana for removing unwanted fats around abdomen, waist, hips and thighs. One should avoid this asana in case if any surgery has done. One should initially practice Ardha Shalabhasana then practice entire Shalabhasana posture. One should neither clench fists nor too loose or nor too tight. One should have total control on breath while practicing this asana.